Phenobarbital versus potassium bromide: Which anticonvulsant is most effective? All types of veterinarians, from general practitioners to emergency clinicians to specialist end up treating seizuring patients. So, when it comes to treating them, what’s your favorite “go to” anticonvulsant therapy? Ultimately, our goal of anticonvulsant therapy is to eradicate all seizure activity… or at least minimize them to less than 1 per 3 months, ideally. Although this goal may not be possible in every patient, we hope to achieve this goal. With that in mind, which anticonvulsant will help you achieve this? Which one would a neurologist pick? 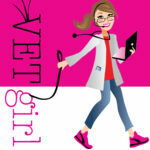 In this VetGirl podcast, we compare phenobarbital and potassium bromide in treatment of seizures in dogs. Generally speaking I start with Phenobarb (efficacy, low incidence of side effects and cost). My secondary drug depends a little more on circumstance. Bromides take SO long to reach steady state, or to come out of the system, I don’t really like using them when I feel I might have to make ‘fine’ adjustments in the short term, but is a good secondary drug for those patients having an occasional ‘break through’ seizure (although I’m a little put off by the study by Cribb with the highly increased incidence of pancreatitis using these in combination). If things are changing rapidly, I’ll reach for Keppra next (downside being TID dosing, and cost). I don’t have Zonisamide available to me here in Canada, but would likely use it similarly. My understanding from the books and conversations I’ve had with owners online though is it has more of a ‘honeymoon’ period than the other drugs (often stops being effective once they’ve been on it for a while). Keppra seems to be the new favorite in our clinic. I have my own dog on it – started out on regular Keppra and then switched to XR. He is also on Phenobarbital. I don’t see many dogs that are on Potassium Bromide anymore. My clinical impression has always been that KBr works best. Clients like the OD dosing. I rarely see the GI problems. The exception is in cats where I have seen bronchial inflammation and do use KBr in cats any more. The reported worsening of seizures. In some pt relate to the increased length on seizure time is a shock. This podcast is making me have to reconsider my thinking! Thank you! Thanks for writing Dr. Fitzpatrick! With the high incidence of asthma in cats treated with bromides, it’s not worth changing – rather use phenobarbital instead. 🙂 Keppra will be the biggest newest one… check out Dr. Bill Bush’s podcast on Keppra and it’s benefits too! 🙂 I used to be a bromide lover, and have slowly transitioned back to phenobarb and keppra as a result of this study!